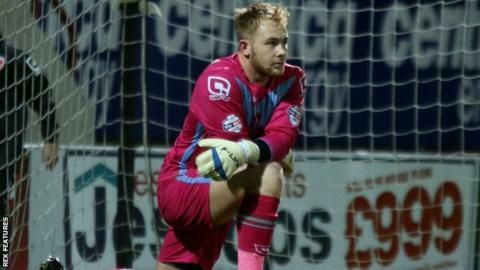 Chester have signed former Morecambe goalkeeper Tony Thompson for the remainder of the season. The 21-year-old moved to Morecambe from Rotherham in August 2015, but was recently released by the Shrimps. He made two appearances this season, including the 2-0 defeat by Fleetwood in the Football League Trophy. Thompson is Chester's third signing of the transfer window following Burnley players Jason Gilchrist and Steven Hewitt, who have joined on loan. Chester have also confirmed that 19-year-old keeper Dylan Forth has left the club.